Seeing a picture of someone pondering this wonderful machine allegedly invented by Mr. Edison makes me think of many things. 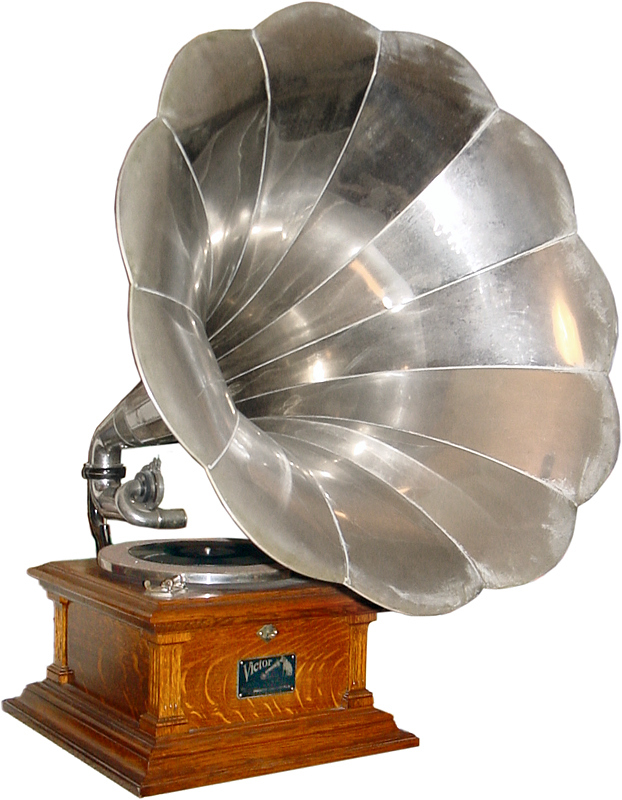 What comes to mind first is the fact that some now say a Frenchman was the first one to record the human voice way back in the early 1860s. A recording exists of a young French girl singing Claire DeLune. Whatever the case may be this technological advance spawned an industry that I have had a complicated relationship with for years. As a young person I spent much time listening to records . By the age of 14, I was obsessed with jazz. This fascination let to my choosing music as a career. Perhaps career is the wrong word for a world ridden with brigands, mountebanks, psychopathic journeymen and a few geniuses. I’ve worked with all of these types. Often I wonder about the provenance of my musical obsession. Perhaps this is the wrong thing to do but then being involved in a noble art that is often at variance with the harsh vagaries of the music business provides you with plenty of time for contemplation. Do I sound like a chronic complainer, a petulant overgrown crybaby who is far from happy with his station in life? Anyway let’s get to the facts. My first recordings were 45s, (remember them?) with local blues artists when I was in my late teens and early twenties. I was a rhythm guitarist on these sessions. I don’t remember how much I made but do know that some of these recordings wound up on Juke boxes found in some of the dives I worked. I remember seeing someone smoke pot for the first time in my life during some of these early record dates .These cannibis laced sessions were never turned into records. I was a very young, unworldly, somewhat nerdish young man who was just beginning to acquire a knowledge of what the life of a “real” professional musician was like. Many local bluesmen had no use for Jazz. The whole drama of the human condition could be encapsulated in the framework of 12 bars. Well let’s be charitable and say many of these performers had a somewhat cavalier sense of time. They were not unlike country-blues Einsteins who had an awareness of time being relative. This perception was the end result of an amalgam of soulfull expression and ineptitude. You merely played with them and hoped to get paid at the end of the night. Of course the blues is as much about sensibility as it is form. In fact the blues is the first thing any serious student of Jazz learns how to play.